Well hello to you my reader chums! Yesterday I was lucky enough to attend Tanya Burr's book signing and finally got the chance of meeting her! I've been watching her videos for a good 3 years now and I can't believe the moment came where I had the opportunity of speaking to her. 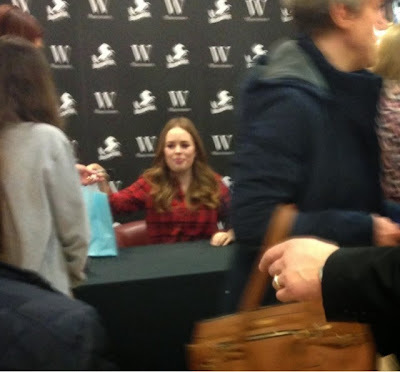 It was very surreal and quick but Tanya was honestly so lovely. Its such a crazy thought knowing I've now met and spoken to two of my role models, Zoella and Tanya. I'm genuinely really enjoying Tanya's book, it has such sweet personal touches and I love all the tips she gives about makeup, skincare etc. When I've finished it, I'll write you a good old review with more in depth thoughts of my view. Since security were quite strict about pictures, it was hard to snap a quick one before actually meeting her. However, I'm super happy I had a conversation with her after waiting for so many years! I got to go with one of my best friends Brittany. 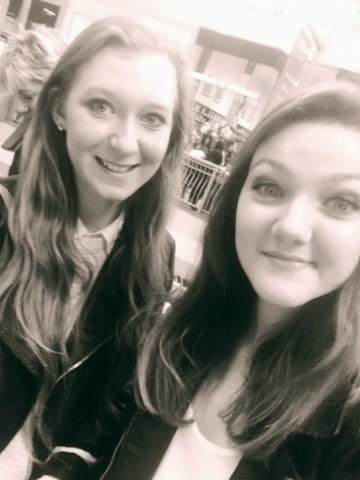 We had a lovely time at the signing and an afternoon full of shopping! The first item is something I've wanted for a very long time, it is Mac's Russian red lipstick. Oh my gosh can we please take a moment to appreciate the beauty of this product. I'd like to point out its my first ever Mac lipstick and I'm extremely happy to finally have one. I thought as it was Valentine's day I would treat myself! 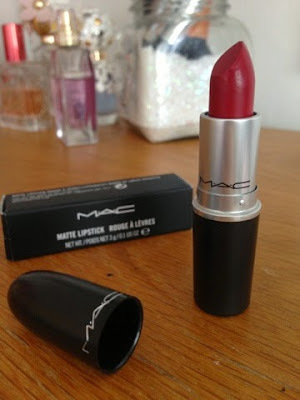 The colour itself is a dark red, perfect for a statement red lip, I can't wait to start wearing it! I obviously had to make a trip to lush to stock up! 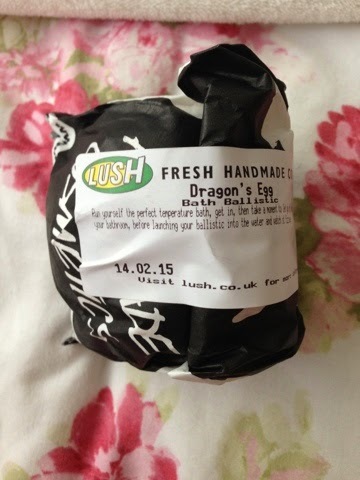 I picked up one of my ultimate favourite bath bombs which is Dragon's egg. I adore the smell to this, it reminds me of lemon sherbets, oh my its too good. The scent is so strong that when I leave it in my room, it lets off a beautiful aroma around the room, who needs candles when there are lush bath bombs?! 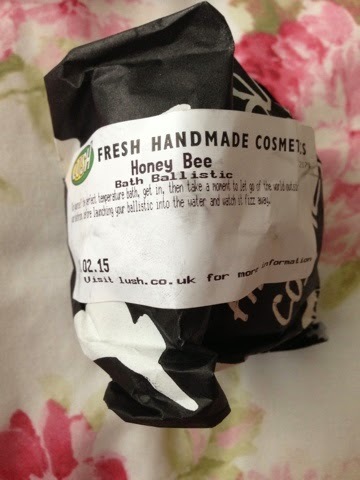 The other bath bomb I bought was Honey bee. I haven't tried this one out before, however it had a very similar scent to Lush's golden egg which was around at Easter time, one that had a gorgeous smell. I'm definitely into the bath bombs with sweeter scents! 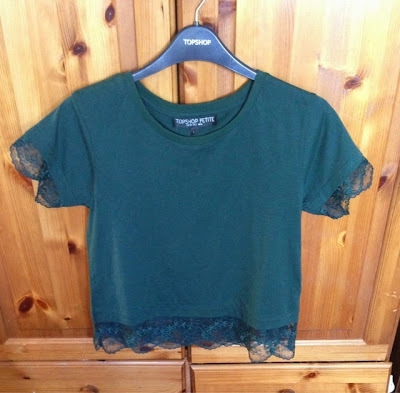 Another place I stopped at was Topshop to have a good old browse. The top I bought, I've had my eye on for a while now because I love the detailing. I never picked it up before as I would always stop myself, although yesterday I gave in and bought it. Usually I'm not one to wear green (or many colours really), I tend to stick to monochrome and neutral items. 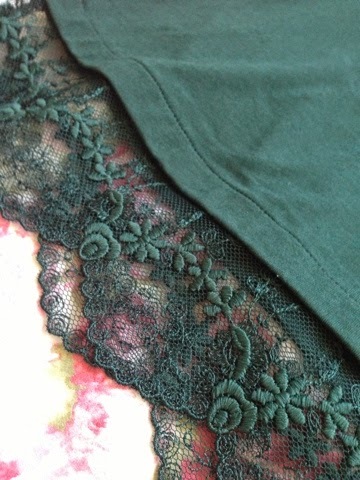 Despite that, I love this top, I think the shade of green/teal is beautiful and the lace detailing really adds to the overall look. One thing I admire about Topshop is the fact they have a petite range. I'm quite small/ thin and sometimes find it hard to get my size in general clothing stores. Therefore its lovely to go into a shop where they have a section which caters to my size. This cost £22. The other shop I picked up a couple of items from was Forever 21. 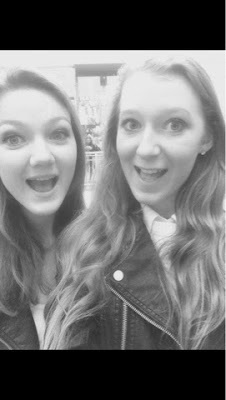 Every time I go to Bluewater or London, going into Forever 21 is a must. I love how there's something for everyone and how the shop caters for a variety of styles. 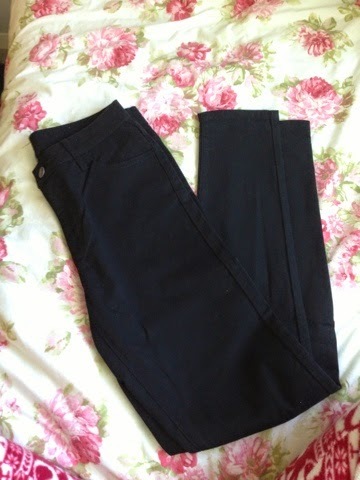 The first clothing piece were these black skinny jeans. I'm one of those people who always stick to denim jeans and therefore wanted to push the boat out a bit and get a pair of black jeans.I'm rather excited to see what I can put these with in my wardrobe! I also picked up another pair of the denim high waisted jeans as they are oh so comfy and I get a lot a use out of the pair I already own. 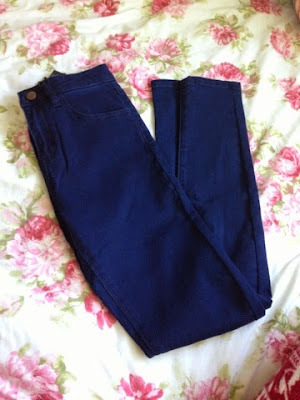 Both jeans only cost me £12 each which I think is a bargain! 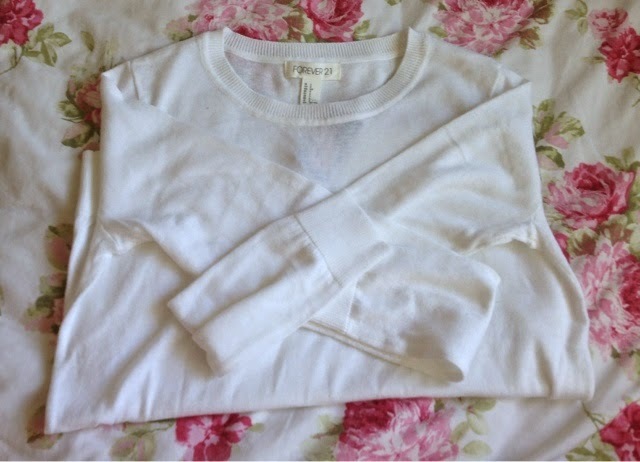 Another item I picked up was this over sized cream jumper. Its a tad longer than a usual jumper and is the softest thing. I think its going to be perfect for a chill day or just with jeans and boots for an ultra casual look. Its quite a light material, ideal for the upcoming spring months! For only £7, I think that's a proper bargain for a versatile piece. The last thing I purchased from Forever 21 was this slouchy, stripy top. 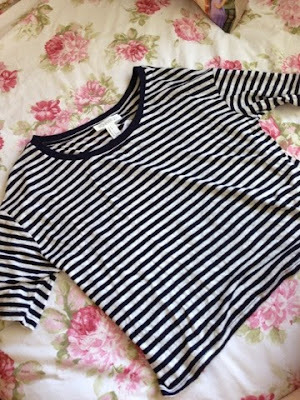 I was on the hunt for a stripy crop top and tried a selection on, however was unsuccessful, yet when I picked this up and put it on, it was extremely soft/light and I loved it. Even though its not the crop top I was going for, its still the pattern I wanted and as its slouchy, I can wear it for a lot of casual occasions. I can either tuck it into skirts or pair it with shorts and jeans! This was £9. I hope you enjoyed this haul and post about Tanya's signing! Did any of you go to the book signing? So nice you got to meet Tanya. I really like the things you've bought especially the Lush products. Great post. Randomly found your blog and can’t express how I like it! It was so interesting to read your posts and also I’d like to say that you have beautiful photos! You are so lucky to have met Tanya!!! Great post.